Finally I have some pictures from my trip to the orphanage last weekend. Me helping some of the kids with the craft. Playing a game similar to Duck, Duck , Goose. The children line up to play a game. Remember that old song, Father Abraham? Some songs are classics. On either side of me are the girls that braided my hair - Korpo is on the left and Siannah on the right. Relay races...this girl can jump. One of the orphanage workers getting some chores done while we were there. Laundry by hand. so so precious!! of course I would love th epics with kids in them!! You look beautiful and so happy Jen...I can't imagine ever wanting to leave. Kim, So nice of you to say I look beautiful - you must not be wearing your glasses!! How can I look beautiful wearing that skirt, sweaty and dusty and all?!? Jen, Once again...You look Beautiful. 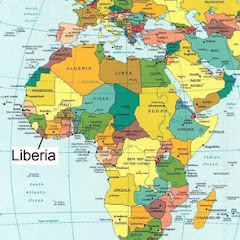 DO we HAVE to argue about this while you are in Liberia? Can I NOT have my own opinion? LOL I love you and miss you!!! Cuz Jen...here is what I see... I see a woman who has fallen in love with a bunch of LIberians...and is completely enjoying BEING with them..playing DUck Duck Goose and singing Father Abraham...and no amount of dust, sweat or ugly brown skirts (it really isn't ugly...using your words here) can cover up that beauty!